Visiplex wireless outdoor Public Address systems provide instant voice communication for daily announcements and public notifications during emergency situations. Seaside Heights is a one-mile beachfront boardwalk in New Jersey that provide public entertainment, beach events, shopping and dining. Robert Baran from the city Electrical Department was looking for an outdoor Public Address system for: general and emergency warning announcements to the public, background music for boardwalk shops, live-voice paging from the lifeguard station for beach safety, activation of pre-recorded emergency alerts messages from the municipal office, and a system that is simple to install by the city’s Public Works Department. 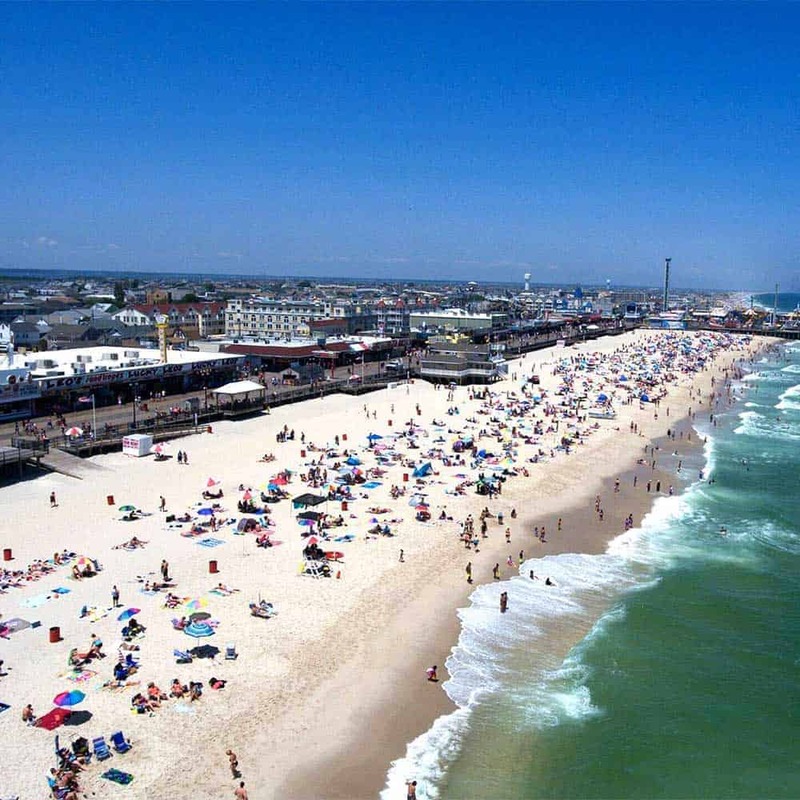 Visiplex’s solution to meet the requirements of Seaside Heights consisted of: VS4810 wireless paging base station for the municipal office, VS101-40 high-power transmitter for complete boardwalk RF coverage, VS3041 Commercial FM transmitter, 18 VNS2200 outdoor PA speaker controllers, each driving two VNS2085 high-power horn speakers (total of 36) to provide full beachfront overhead voice messaging. An additional VS4500 base station was added to provide live-voice paging from the lifeguard station for increased safety and public communication at the beach area. The whole system installation process was relatively simple and performed by the city’s Public Works Department. The proposed system was fully wireless, eliminating costly wiring between outdoor pole speakers and the main office/lifeguard stations, requiring only an AC outlet for each PA speaker controller to operate. The total cost of the complete system was approximately $24,000. Beachfront wireless PA system that provide live voice and instant messaging to enhance public safety and improve response time during emergency situations. The municipal office can now provide the public with instant, clear voice alerts during weather emergencies or any other safety related issue. Special daily activities can be promoted over the paging system to improve productivity and efficiency. The lifeguard station can use live-voice messages for increased beach safety and public communication. Pre-recorded messages for emergency evacuations, severe weather alerts, and public safety announcements can be instantly initiated by the municipal office.